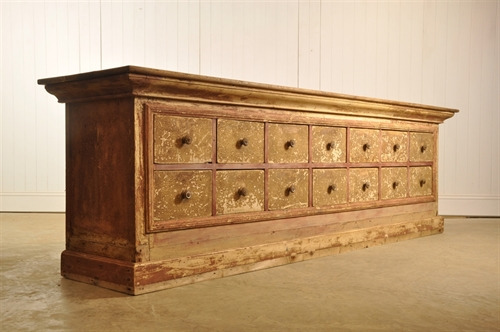 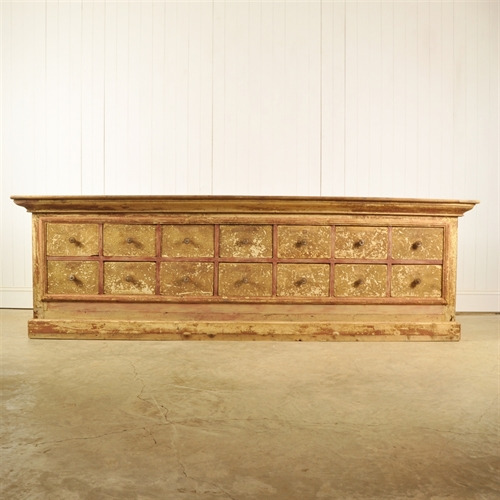 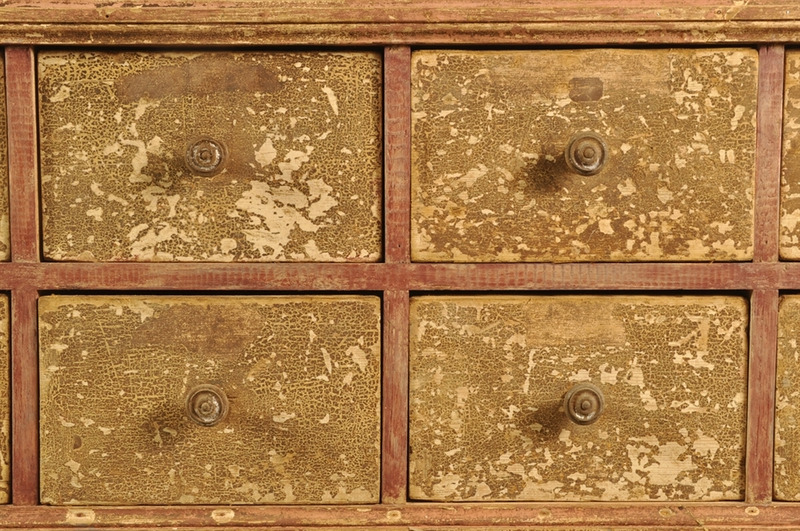 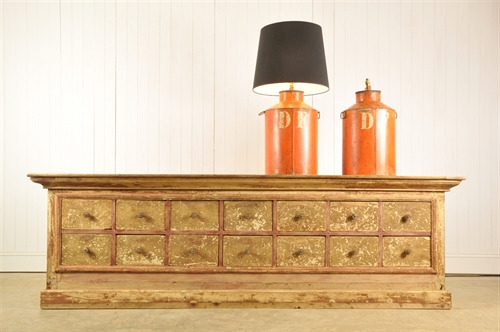 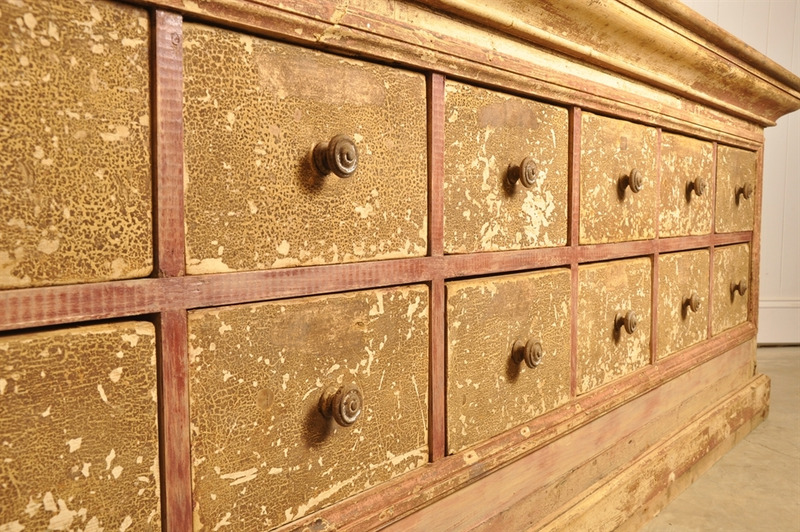 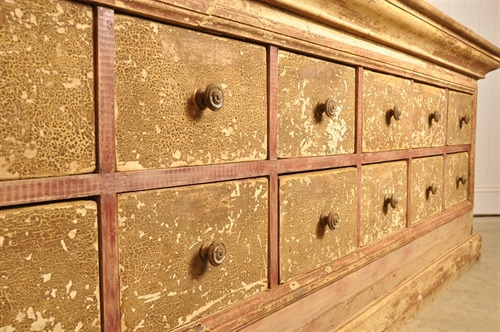 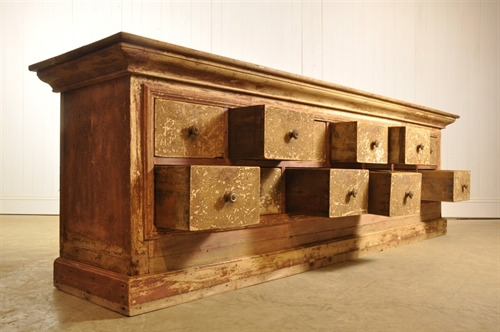 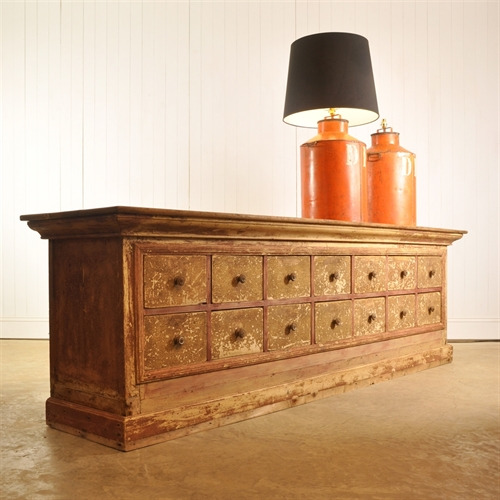 This stunning sideboard predominantly dates back to late 19th Century. 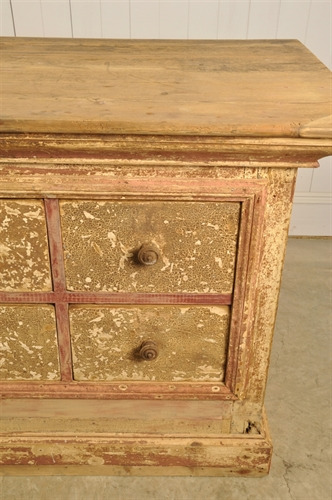 However, it has had a lot of restoration and has basically been re-made. 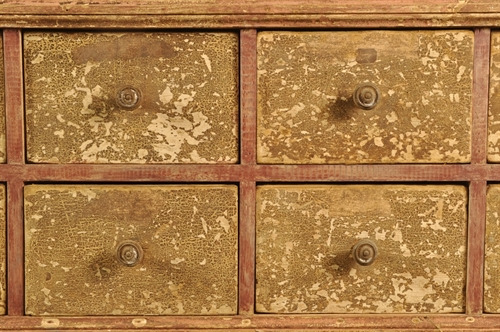 To the untrained eye this is hard to tell. 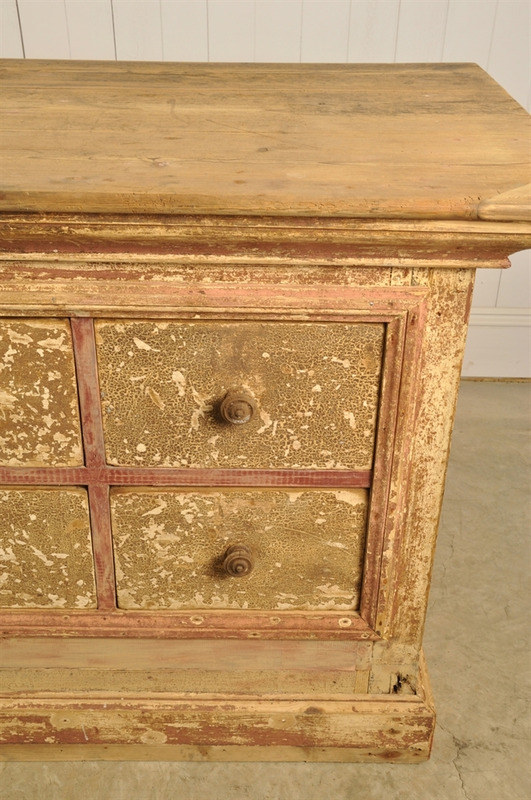 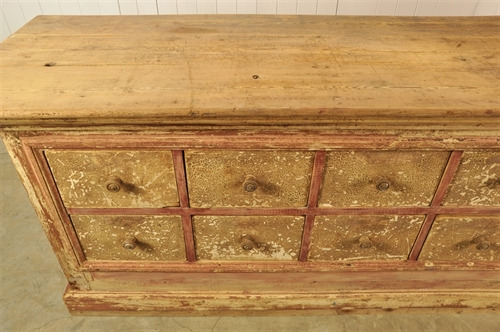 It is a fantastic looking thing with wonderful character throughout the original 19th century reddish/pink paint. 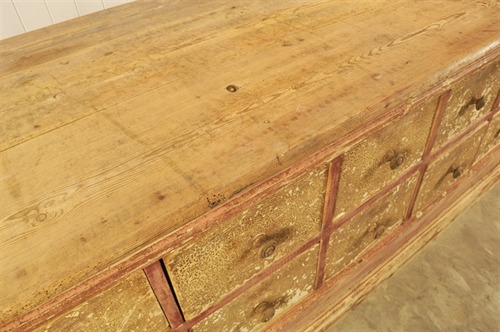 On the top some old re-treated woodworm and the front right top corner has also been repaired. 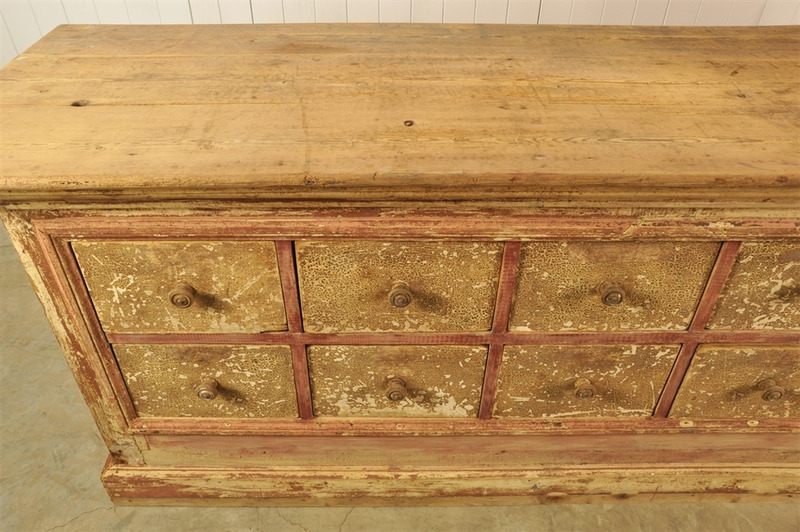 All in all, in good sturdy structural condition with good (not perfect) running drawers.